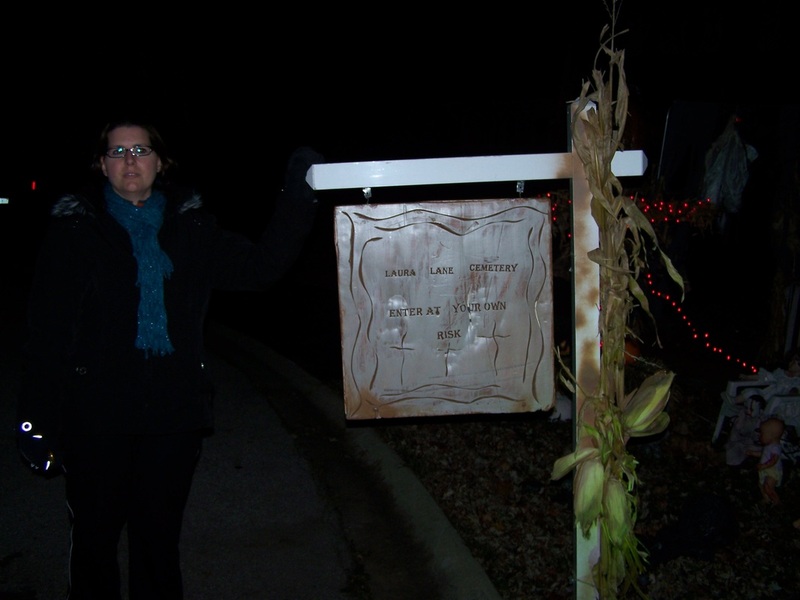 Laura Lane Cemetery is a small yard display located in Tinley Park on, as the name implies, Laura Lane. 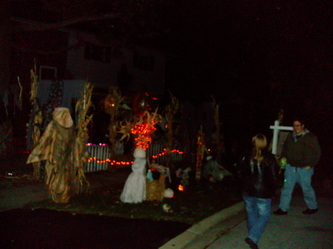 The display is small (as is the front yard), and consists mostly of static props such as Jack-O-Lanterns, scarecrows, and tombstones. 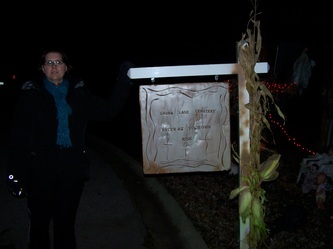 A large homemade sign gives visitors the name of the haunt and tells them to enter at their own risk. One thing that adds to the display itself is the presence of live actors, made of of the owner and his family. 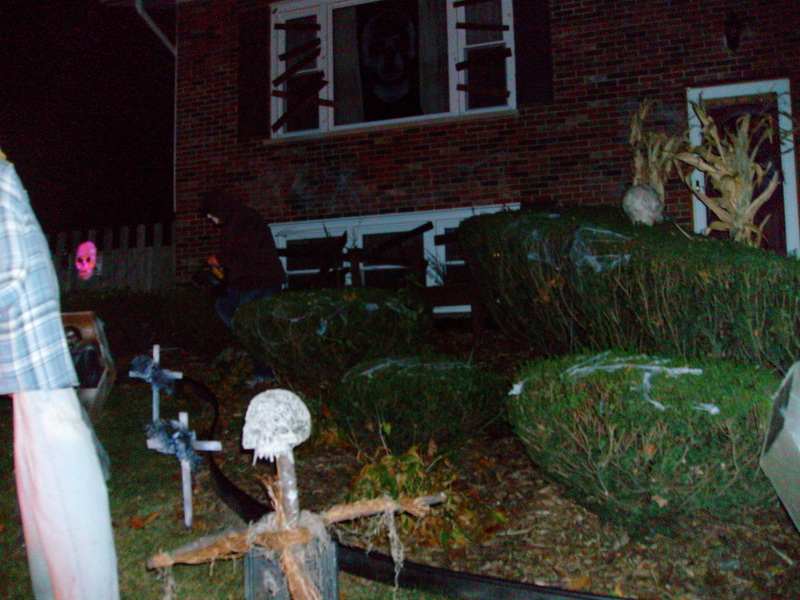 When we arrived there in 2012, they were waiting in the bushes, and when we pulled up and got out of the car, they slowly crept out to scare us. 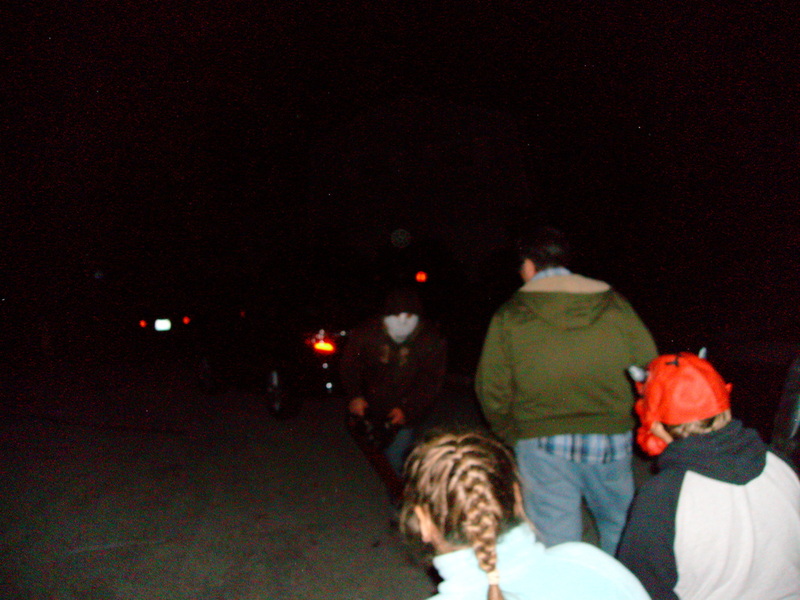 There was the obligatory chainsaw guy, and two smaller children in masks who, although not actually scary, did their best to follow us around and creep us out. 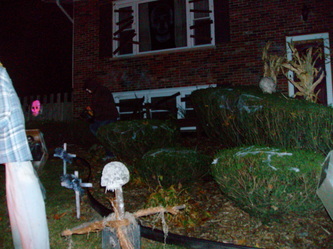 Since they were silent, and since the display featured several corn stalks, we dubbed them the "Children of the Corn" - the act worked pretty well, too. While there's not much to see here, what is here is well laid out, and the actor enthusiasm bumps the display up another point as well.